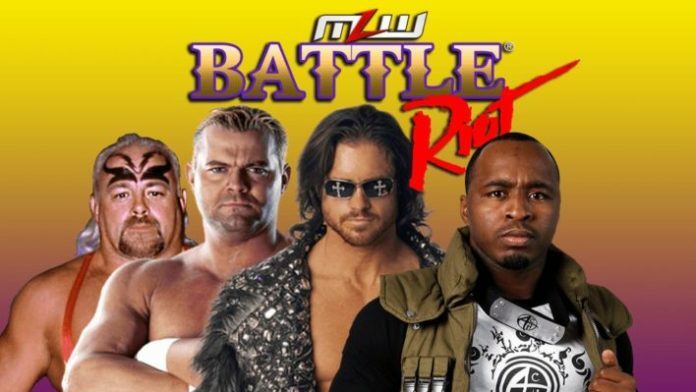 Major League Wrestling has announced the first 4 participants for the July 19th, 2018 Battle Riot match. Not surprisingly, the sadistic Kevin Sullivan is among the first group of confirmed entrants. MLW promises the winner of the match will earn a shot at the MLW World Championship currently held by Shane Strickland. Eliminations occur via pinfalls, submissions, or from being thrown over the top rope. The match will be filmed for MLW’s weekly television series, “MLW Fusion” on BeIn Sports. The event will be held in Queens, NY at the Melrose Ballroom on July 19th, 2018. John Hennigan – the man known as Johnny Impact/Mundo/Hennigan/Nitro has been with the company since late last year. It’s a big summer for Johnny, who will also be a participant in the upcoming season of Survivor. As Johnny Impact, he is also booked for Slammiversary on July 22nd, just 3 days after Battle Riot takes place. Hennigan will also be featured in the 4th season of Lucha Underground which premieres tomorrow on the El Rey Network. Davey Boy Smith Jr. – One-half of the Killer Elite Squad, Smith debuted in the original Major League Wrestling 14 years ago. The original MLW formed out of the ashes of ECW but was only short-lived. Promotion owner, Court Bauer, would later be hired to work as a writer for WWE. “Taskmaster” Kevin Sullivan – the man who once put together the alliance to end Hulkamania will be in an MLW ring on July 19th. With names like Sullivan, Col. Robert Parker, and Tony Schiavone, MLW likes to pay homage to the past. While Sullivan’s best days might be behind him, he was always ahead of his time, meaning he’s still got something to offer modern-day wrestling. ACH – ACH has been a featured performer for MLW since its re-launch. The Dragonball Z fan will have his work cut out for him if he is to outlast 39 other participants, however. There will be surprises! There will be legends! There will be WTF entries! And there will be no disqualifications!